Baby E absolutely loves the outdoors, she would live outside if she had her way. For New England winters it is essential for her to have the right gear to be outside even on cold days. We're really thankful to Obermeyer for providing our toddler with a weatherproof outfit that will serve her for more than one season! We received the Karma jacket and Snoverall for review. The color was a surprise to us, and though we're fans of blue - we love this combination of Limeade and Creamsicle. We took photos just for fun since the set is size 4 and it is something she has to grow into! She's a peanut and though she is almost 3 years old she still wears 2T clothing. She may wear it at the end of this season if she has a growth spurt, but next winter it will be perfect, and even the winter after that since it features the I-Grow Extended Wear System. The shell is made of 53% polyester from recycled PET bottles, hence the ECOlicious material name. I'm not a fan of polyester or synthetic materials, but obviously it is great for this purpose. I don't think I would have baby E clad in a sheepskin snowsuit to play in the snow - that would be pretty heavy! This suit is super light and easy to move in. She even likes wearing it around the house. We absolutely love all the gear from Obermeyer. The modern and fun kids snowsuits designs are great for kids of all ages and the gear is made for high performance in the snow and on the slopes. 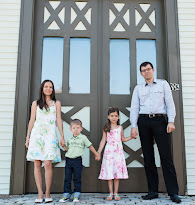 They have gear for babies, toddlers, children, and teens. I really love their baby buntings sized 6 months to 18 months. 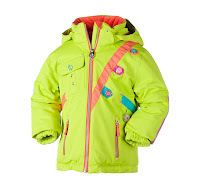 The prices are not the cheapest, but you do get very high quality outerwear that more than one kid can wear. The Karma jacket retails for $129.50 and the Snoverall is $79.50. 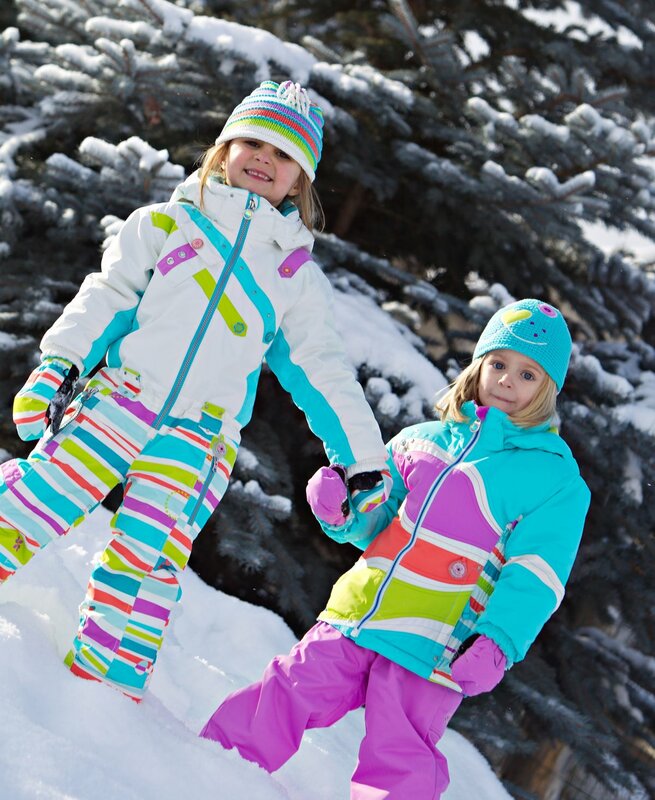 Every kids snow suit you buy can be worn for at least two seasons and if your family likes to ski and is outdoors a lot in the winter, this may be worth the investment. It will keep your kids warm and dry, not to mention looking adorable! Check out everything Obermeyer has to offer, from women's ski gear to men's performance ski gear. They have some really stylish women's apres ski sweaters. Obermeyer definitely knows what they are doing when it comes to ski outerwear design, after all they are based in Aspen, Colorado. They also pursue designing more sustainable and earth-friendly products. These are so cute! Thanks for the review.